Is The Liberty Braves Group (NASDAQ:BATRA) A Good Stock To Buy? Does The Liberty Braves Group (NASDAQ:BATRA) represent a good buying opportunity at the moment? Let’s briefly check the hedge fund interest towards the company. Hedge fund firms constantly search out bright intellectuals and highly-experienced employees and throw away millions of dollars on research activities, so it is no wonder why they tend to generate millions in profits each year. It is also true that some hedge fund players fail unconceivably on some occasions, but their stock picks have been generating superior risk-adjusted returns on average over the years. The Liberty Braves Group (NASDAQ:BATRA) investors should be aware of a decrease in enthusiasm from smart money in recent months. 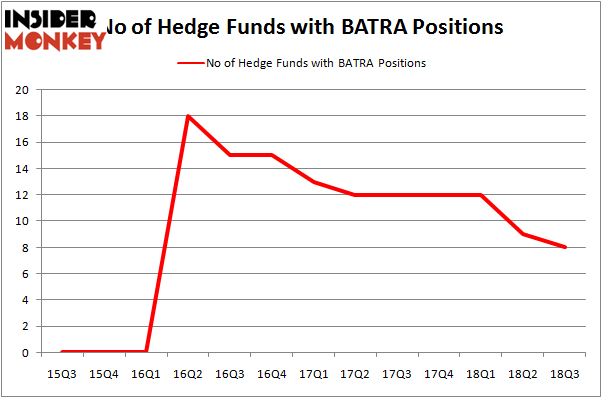 BATRA was in 8 hedge funds’ portfolios at the end of September, down by one from the previous quarter. Having only 8 smart money investors with long positions, the stock was not even close to being considered as one of the 30 most popular stocks among hedge funds. According to most shareholders, hedge funds are seen as underperforming, old financial vehicles of yesteryear. While there are over 8000 funds in operation at the moment, We choose to focus on the leaders of this group, about 700 funds. These investment experts preside over the lion’s share of all hedge funds’ total asset base, and by watching their best picks, Insider Monkey has uncovered numerous investment strategies that have historically outrun the broader indices. Insider Monkey’s flagship hedge fund strategy outstripped the S&P 500 index by 6 percentage points annually since its inception in May 2014 through early November 2018. We were able to generate large returns even by identifying short candidates. Our portfolio of short stocks lost 26.1% since February 2017 even though the market was up nearly 19% during the same period. We just shared a list of 11 short targets in our latest quarterly update. Now, we’re going to go over the fresh hedge fund action regarding The Liberty Braves Group (NASDAQ:BATRA). At Q3’s end, a total of 8 of the hedge funds tracked by Insider Monkey were long this stock, a drop of 11% from one quarter earlier. By comparison, 12 hedge funds held shares or bullish call options in BATRA heading into this year. So, let’s see which hedge funds were among the top holders of the stock and which hedge funds were making big moves. 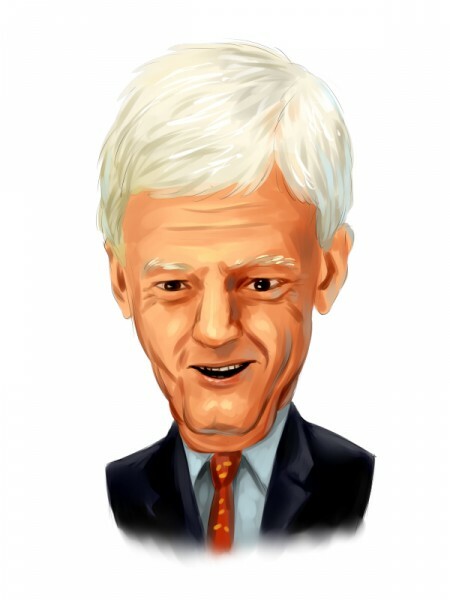 According to publicly available hedge fund and institutional investor holdings data compiled by Insider Monkey, Mario Gabelli’s GAMCO Investors has the most valuable position in The Liberty Braves Group (NASDAQ:BATRA), worth close to $34.2 million, comprising 0.2% of its total 13F portfolio. Coming in second is Peter S. Park of Park West Asset Management, with a $23.9 million position; 0.9% of its 13F portfolio is allocated to the company. Other professional money managers that hold long positions comprise Jim Simons’ Renaissance Technologies, Murray Stahl’s Horizon Asset Management and Ken Griffin’s Citadel Investment Group. We view hedge fund activity in the stock unfavorable, but in this case there was only a single hedge fund selling its entire position: Fine Capital Partners. One hedge fund selling its entire position doesn’t always imply a bearish intent. Theoretically a hedge fund may decide to sell a promising position in order to invest the proceeds in a more promising idea. However, we don’t think this is the case in this case because none of the 700+ hedge funds tracked by Insider Monkey identified BATRA as a viable investment and initiated a position in the stock. Let’s now review hedge fund activity in other stocks similar to The Liberty Braves Group (NASDAQ:BATRA). These stocks are American Woodmark Corporation (NASDAQ:AMWD), CURO Group Holdings Corp. (NYSE:CURO), OSI Systems, Inc. (NASDAQ:OSIS), and ProPetro Holding Corp. (NYSE:PUMP). This group of stocks’ market values resemble BATRA’s market value. As you can see these stocks had an average of 16 hedge funds with bullish positions and the average amount invested in these stocks was $123 million. That figure was $69 million in BATRA’s case. ProPetro Holding Corp. (NYSE:PUMP) is the most popular stock in this table. On the other hand OSI Systems, Inc. (NASDAQ:OSIS) is the least popular one with only 9 bullish hedge fund positions. Compared to these stocks The Liberty Braves Group (NASDAQ:BATRA) is even less popular than OSIS. Considering that hedge funds aren’t fond of this stock in relation to other companies analyzed in this article, it may be a good idea to analyze it in detail and understand why the smart money isn’t behind this stock. This isn’t necessarily bad news. Although it is possible that hedge funds may think the stock is overpriced and view the stock as a short candidate, they may not be very familiar with the bullish thesis. In either case more research is warranted.